Photograph, Portrait of Manuel Crespo. Courtesy of Houston Independent School District. Image available on the Internet and included in accordance with Title 17 U.S.C. Section 107. CRESPO, MANUEL (1903–1989). Manuel Crespo, a builder of the Hispanic community in Houston, was born on November 12, 1903, in Orense, Spain. His father died two years later, and his mother supported the family by raising cattle on a small farm. The children attended a local school in the town, where Manuel earned the equivalent of a high school education and received the highest grades in his class. On March 2, 1920, he purchased third-class accommodations on the Vigo, bound for the United States. After spending a day in New York, he traveled by train to Houston, Texas, visited friends for a few days, and then moved on to Fort Worth, where he got a job as a dishwasher. In May 1923 Crespo returned to Houston and settled in Magnolia Park. He lived by sharpening knives in a peddler's cart. In 1925 he bought and remodeled a Model-T truck to carry his wares around the city. His new business enabled him to meet many different people, and he spent his evenings studying English. In 1927 Crespo injured his left eye while he was sharpening a knife. He required several operations, and his doctor recommended that he go into another line of work. In 1928 he moved to Baytown to work at the Humble Oil (now Exxon) Refinery. Photograph, Picture of the Mexican Funeral Home on Navigation. Courtesy of Dignity Memorial. Image available on the Internet and included in accordance with Title 17 U.S.C. Section 107. In 1931 Crespo returned to Houston to manage the Mexican Funeral Home, on Navigation, for fifteen dollars a week. He studied for his mortuary license and eventually bought out the three owners. He renamed the business Crespo Funeral Home and in 1934 moved it to a two-story house on Canal. On October 21, 1934, he married Emily (Emalie) Meyer, and they moved into the rooms above the mortuary. They had two sons. Emily was secretary-treasurer of the Crespo Funeral Home. In 1937 the family moved the business to 2516 Navigation, where they remained for the next fifty years. In 1940 Crespo took a leave of absence to recover from a skin infection on his hands and joined the Houston Police Department as a detective; he was the city's first Hispanic police officer. The Mexican-American neighborhoods faced a difficult juvenile-delinquency problem, and the police department needed Spanish-speaking officers. Spanish-speaking Anglo-American officers worked under Crespo, and some apparently resented him; in 1946, upon returning from a brief vacation, he found his desk had been broken into and his records stolen. He resigned the next day and returned to the funeral home. Photograph, Picture of the front of Crespo Elementray School, named in honor of Manuel Crespo. Courtesy of Houston Symphony. Image available on the Internet and included in accordance with Title 17 U.S.C. Section 107. In 1926 he organized the city's first Hispanic soccer club for youngsters; a year later he organized the city's first soccer league. Crespo provided his players with uniforms, purchased their equipment, and transported them to their games, which were often as far away as Galveston and San Antonio. He also organized and sponsored various softball and volleyball teams. In 1932 he joined the Woodmen of the World, Lodge No. 2333, also known as El Campo Laurel, one of the first predominantly Hispanic organizations in the city. It had over 250 members. 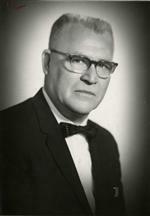 He served as financial secretary and chairman of the organization. In 1932 he joined the Club Cultural Recreativo México Bello, which sponsored numerous social, cultural, and recreational activities in the community. When his membership was revoked two years later, he and six other men organized the Club Internacional, which operated for ten years. 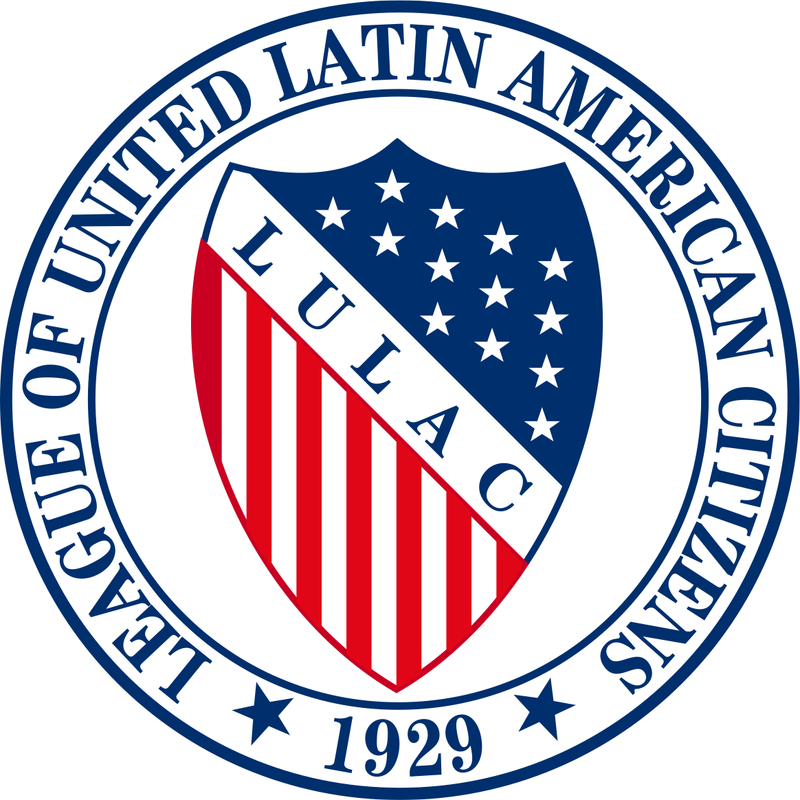 Logo of the League of United Latin American Citizens. Image available on the Internet and included in accordance with Title 17 U.S.C. Section 107. Crespo, on the advice of Manuel C. Gonzales from San Antonio and with the help of Juvencio Rodríguez, Mariano Hernández, and John Henry Duhig, founded the League of United Latin American Citizens Council No. 60 in Magnolia Park in 1934; it was chartered in 1935. Other founding members included John J. Herrera, Felix H. Morales, Felix Tijerina,qqv Isidro García, Dr. Angel González, and Manuel M. Ortiz. The first meetings were held at the Crespo Funeral Home. In October 1935 a small group of LULAC members, including Crespo, Herrera, Morales, and Tijerina, defected from Council No. 60 and organized themselves into the Latin American Club of Harris County, which addressed the same issues, including health, education, language, citizenship, employment, and equal opportunity. LAC initiated a drive to increase the number of poll-tax payments among Hispanics, to ensure their representation in elections. It also formed a Boy Scout troop for Mexican-American boys and organized such youth groups as the Club Recreativo Tenochtitlán. In 1939 the members of LAC overcame their differences with LULAC. In 1938 Crespo helped to found the Federación de Sociedades Mexicanas y Latino Americanas, an umbrella organization that worked with the Mexican consul in Houston to defend the rights of Mexican Americans. In 1941 the federation was successful in getting Wharton County to remove signs that read "No Mexicans Allowed" from commercial establishments. They also provided the Harris County Grand Jury with recommendations on how to curb juvenile delinquency. Crespo served on the board of directors until the group dissolved at the end of the war. He was a member of the Eagles, the Elks, and Familias Unidas. In 1940 he helped to found the Mexican Chamber of Commerce, which promoted the interests of Mexican-American businesses. In 1956 he organized a local chapter of the Lion's Club for the Hispanic community. The Port Houston Lion's Club had 175 members, which made it the second-largest Lion's Club in the Houston area. Crespo served as the first president and was later elected to various other posts. During the late 1950s he became a member of the local Viva Kennedy Club and later of the Political Association of Spanish-Speaking Organizations of Harris County. He met President Kennedy at the Rice Hotel in Houston the day before the Kennedy assassination. In 1963 a group of community leaders, which included Félix Tijerina, E. P. Leal, and a Reverend Calderón, approached Crespo and asked him to run in the citywide election for District D of the City Council. Crespo hesitated, but after twenty-five local businessmen pledged donations of at least $500 to his campaign, he accepted. The money did not come through, however, and Crespo ended up spending over $15,000 of his own savings for the political campaign. PASSO provided volunteers. Crespo came in second, with 42,500 votes, 6,000 fewer than Homer Ford. Crespo was later asked to run for mayor but refused. He voted for John F. Kennedy and Lyndon B. Johnson, but he also campaigned for Richard M. Nixon, Gerald Ford, and Ronald Reagan. Photograph, Picture of Manuel Crespo's remains in the Catacombs Mausoleum. Courtesy of Find a Grave. Image available on the Internet and included in accordance with Title 17 U.S.C. Section 107. Crespo served as an usher for ten years at Our Lady of Guadalupe Church. When he and his wife purchased a home on Live Oak they joined Blessed Sacrament Church. In the early 1980s Vice President George H. W. Bush presented Crespo with an award for being a "Pioneer of Houston." His picture hangs in the Houston Police Academy Museum. Crespo died in Houston on July 14, 1989, and was buried in the Catacombs Mausoleum, Garden of Gethsemane Cemetery. Arnoldo De León, Ethnicity in the Sunbelt: A History of Mexican-Americans in Houston (University of Houston Mexican American Studies Program, 1989). Thomas H. Kreneck, Del Pueblo: A Pictorial History of Houston's Hispanic Community (Houston: Houston International University, 1989). Handbook of Texas Online, María-Cristina García, "CRESPO, MANUEL," accessed April 25, 2019, http://www.tshaonline.org/handbook/online/articles/fcr83.